I'm back with another review! I've used these products for the last few months and I better get my review in considering the fact that's it's nearly fall and this is a Summer Collection. 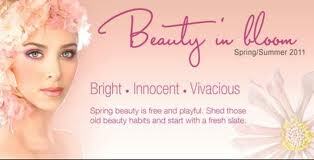 Regardless, the products from Senna's Beauty in Bloom line definitely have staples that will last you year round. The Senna Summer 2011 Collection is described as bright and bold, fresh and innocent paints for the season. It's a mix of bohemian chic and romantic hues and the colors are super feminine and classic. I really do like the Senna line. I've tried many of their products and consistently find that they are high quality and innovative. Onto the review! I love the idea of taking highlighting and making it quick and easy. This duo contains two retractable liners. Pop the matte shade in your waterline to open and brighten eyes and use the shimmer side on areas you want to highlight - browbone, cupids bow, cheekbones. 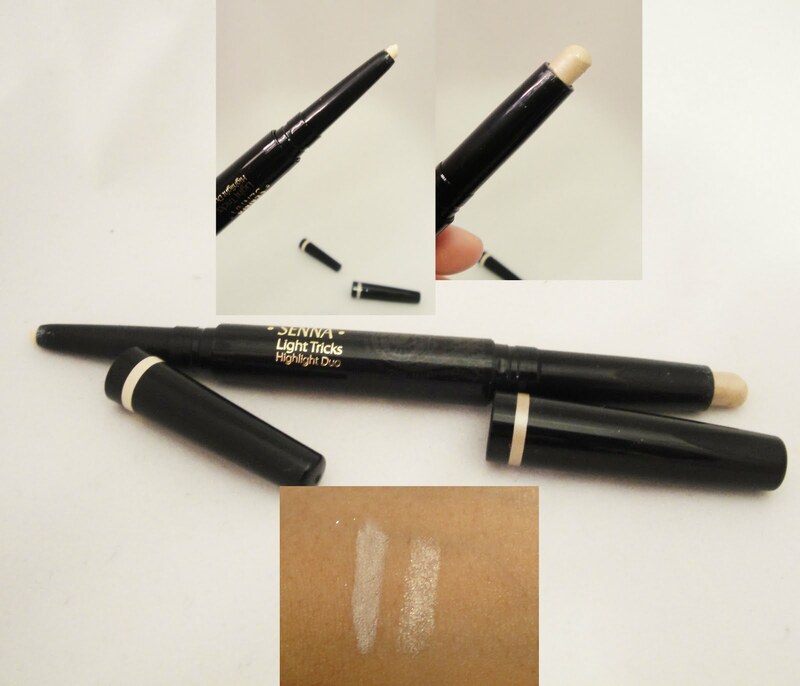 The formula is really smooth and creamy and the product is super easy to use. My only con is that I wish the shimmer side would come to more of a point so that I could pop that on my waterline as well. I think a shimmery pale color in the waterline is absolutely gorgeous. Another fun duo! This is a really nice color combo. The gloss is a super pretty pink with gold flecks - it's not sticky and feels light on. 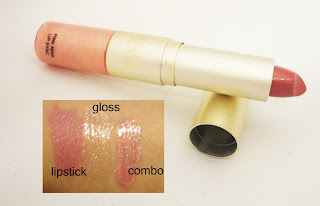 The lipstick is a nice warm pink that brightens up the lips nicely. It's not my usual color choice but I actually really like it. You can wear the duo alone or together. No complaints from me! Senna pot eye shadows never disappoint me. These are absolutely beautiful colors. I received a warm lilac and shimmery bronzey gold. I'm surprised that even the pastel shade works well on me. 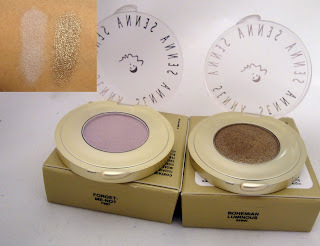 The shadows are pigmented, apply very smoothly and come in sleek packaging. They're also easy to depot. Have you guys tried anything from this collection or from Senna in general? Let me know in the comments below!